Billet Silver Metallic Clear Coat exterior, Sport trim. Back-Up Camera, 4x4, Keyless Start, iPod/MP3 Input, Trailer Hitch READ MORE! ======KEY FEATURES INCLUDE: 4x4, Back-Up Camera, iPod/MP3 Input, Keyless Start. MP3 Player, Child Safety Locks, Steering Wheel Controls, Rollover Protection System, Electronic Stability Control. 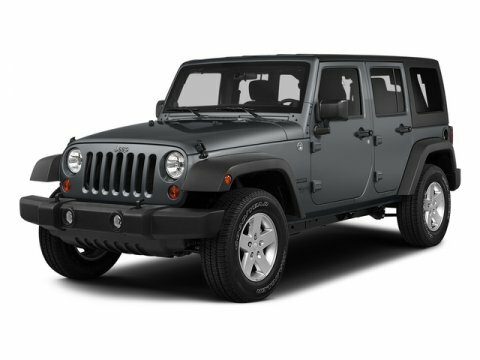 ======OPTION PACKAGES: QUICK ORDER PACKAGE 24S Engine: 3.6L V6 24V VVT UPG I w/ESS, Transmission: 8-Speed Automatic (850RE), Front 1-Touch Down Power Windows, Remote Keyless Entry, Speed Sensitive Power Locks, Deep Tint Sunscreen Windows, Leather Wrapped Steering Wheel, Power Heated Mirrors, Wheels: 17 x 7.5 Tech Silver Aluminum, Automatic Headlamps, Sun Visors w/Illuminated Vanity Mirrors, Security Alarm, TRANSMISSION: 8-SPEED AUTOMATIC (850RE) Hill Descent Control, Tip Start, BLACK 3-PIECE HARD TOP Rear Window Defroster, Freedom Panel Storage Bag, Rear Window Wiper/Washer, TECHNOLOGY GROUP USB Host Flip, Google Android Auto, Air Conditioning w/Auto Temp Control, Radio: Uconnect 4 w/7 Display, 7.0 Touchscreen Display, GPS Antenna Input, Air Filtering, Cluster 7.0 TFT Color Display, Apple CarPlay, Integrated Center Stack Radio, SiriusXM Satellite Radio, For More Info, Call 800-643-2112, 1-Yr SiriusXM Radio Service, TRAILER TOW & HD ELECTRICAL GROUP Class II Receiver Hitch, 240 Amp Alternator, 7 & 4 Pin Wiring Harness, 700 Amp Maintenance Free Battery, Auxiliary Switches, ANTI-SPIN DIFFERENTIAL REAR AXLE Dana M220 Rear Axle, CONVENIENCE GROUP Universal Garage Door Opener, ENGINE: 3.6L V6 24V VVT UPG I W/ESS (STD). Please confirm the accuracy of the included equipment by calling us prior to purchase.